What is the best mattress? If you’ve read a lot of mattresses reviews, then you’ll notice that individual preferences can really affect one’s decision. Even the best rated mattress may be too firm for some and too soft for others. But if you have some aggravating backaches, then you may discover that the best mattress for back pain is made with memory foam. 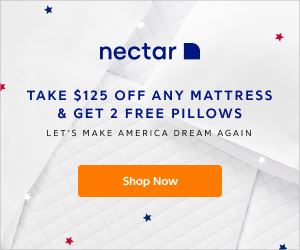 And that’s what we offer here—information about 5 of the best memory foam mattresses for back pain and why memory foam works best for your back. Which Brands and Models Should You Get? All in all, to get the most out of your memory foam mattress you need to pick the right one for you. While again this is a personal decision on your part, you would do well to pick one of these superlative options. 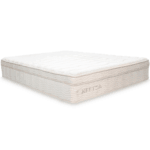 The Keetsa Tea Leaf Supreme is a worthwhile candidate for your bed, because it offers the advantages of memory foam at an affordable price. It’s a “greener” product too. During the manufacturing process, it uses 12% castor oil instead of the more typical petroleum. Proper ventilation is also provided by the use of hemp blend fabric on the cover. 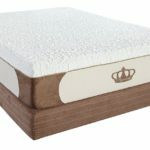 And it gets its name from the use of natural green tea extracts which are embedded into the foam, so that the mattress remains fresh for a longer period of time. 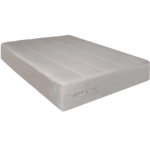 This is the original Keetsa mattress that uses natural green tea extracts to improve the freshness of the material. This is in stark contrast to other brands which use chemical deodorizers for this purpose. The Classic incorporates the iCoil technology that provides the responsive support for your body, whether you sleep on your back or on your stomach. It also reduces movement transfer quite well. It does share one characteristic with the Supreme, and that when it’s new the fire resistant chemicals do need some time for their smell to disappear. But that only takes a few days. 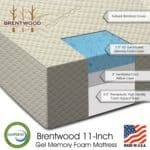 The twelve inches of memory foam is made of 9 inches of supportive memory foam, with 3 inches of special “Bio-Pur” memory foam on top for added comfort. The cover is breathable, so it wicks moisture from your body during the night to help you feel cool. It also offers green features, as its manufacturing process involves mainly plant-based oil. The warranty for the 12” Natural Memory is impressive, as it offers a 20-year limited warranty. There’s even a 90-day money-back guarantee. Here the 12 inches are made up of 3 layers. You get 7 inches of supportive memory foam, and then comes the 2.5 inches of air channel foam. On top is another 2.5 inches of “open cell” memory foam. The top layer offers comfort, while the foundation layer provides the support. The air channel layer supplies the coolness. According to the manufacturer, the mattress is made in the US with high quality materials. That means there isn’t even any need to flip the mattress at all. It too comes with a 20-year limited warranty, and it will be replaced or repaired if the problem is due to a manufacturing error. But normal wear and tear will not be covered by the warranty. The Dream offers the softest and most comfy mattress out of the whole Keetsa mattress lineup. It combines several features from both the Classic and the Supreme. Castor oil is used in its manufacture, natural green tea extracts are embedded into the foam, and it comes with a hemp blend fabric on to for ventilation and moisture absorption. It also uses independent coils inside the soft memory foam for added support. It is resistant to mildew and mold, and the memory foam viscoelasticity has been certified. Learning how to choose a mattress is not a minor matter that deserves little consideration on your part. Consider the fact that your bed is the piece of furniture in your home in which you spend the most time. This is especially true if you don’t work at home, but even if you do there’s really nothing stopping you from working in bed, is there? This is especially true when you consider back pain. If you’re trying to set up the best bed for back pain, you’re not alone. According to experts, low back pain is a condition that almost everyone will experience at some point in their lives. One study suggests that at any given time almost 10% of the world’s population is suffering from an aching back. According to the American Chiropractic Association, 50% of all working Americans experience back pain each year. It is also among the most common reasons cited for missing work. This makes the choice of mattress more important than you realize. But that simply leads to the question of what makes the best mattresses for back pain? If you’re looking for the best mattress for bad backs, you’ll need to consider several crucial factors to make your choice. In fact, these factors must be part of the equation whether or not or back is acting up. That’s because it’s not just your back that determines your comfort. This feature refers to the ability of the mattress to keep your body level and flat, instead of allowing part of your body to be higher or lower than your other parts. This factor is crucial when it comes to preventing and relieving body pain, and this is especially true to back pain. A mattress may not be supportive if it is too soft. However, the number one problem you have to watch out for here is how low a mattress may sag when you’re on it. Most inferior mattresses sag in the middle, and usually this puts your back into an unnatural position that often leads to back pain. For many people, even sagging for just 1.5 inches may already cause pain. However, many of the warranties that cover sagging specify a sagging depth that exceeds 1.5 inches. This is about how the mattress molds to the shape of your body part. If a mattress excels in this feature, then every part of your body is supported equally. Unfortunately, some mattresses don’t conform ably at all. There may be gaps in the support your body gets. So that means some parts of your body get more support than other parts, and these differences in pressure can cause considerable discomfort. Most back pain specialists recommend that you should get a mattress with medium firmness. The problem with firm mattresses is that they may offer support, but the lack of conformability causes a lot of discomfort because some parts of the body feel the support too keenly. On the other hand, a soft mattress may offer great conformability, but the lack of enough support leads to back pain. With a mattress with medium firmness, both conformability and support issues are addressed properly. This is why this type of mattress is regarded as the best choice for preventing and relieving back pain and discomfort. This factor isn’t really relevant to back pain, but it’s integral to your comfort. Your body temperature affects the quality of your sleep, and your choice of mattress affects your body temperature. Usually, a memory foam mattress retains heat, so that in colder areas or during the chilly seasons you can keep yourself toasty warm. But that doesn’t mean that if you live in the tropical areas you can’t use this type of foam for your mattress. The best memory foam mattress brands for warm areas may offer cooling features as well. Have you ever seen a water bed? That’s a prime example of a mattress with poor motion transfer resistance. This feature is about absorbing the surface movement of the mattress when people move around to change sleeping positions or to get off or on the bed. If two people are sharing the bed, then you need a strong motion transfer resistance to prevent such disturbances from happening. Many people develop allergic symptoms to their mattresses over time. That’s because a regular mattress will contain anywhere from 100,000 to 10 million dust mites over a few years. Each one of these produce 20 waste droppings a day and these droppings contain a protein to which a lot of people are allergic. Allergy symptoms rage from itching eyes to severe asthma attacks. But memory foam is not conducive to dust mite accumulation, because the dense composition of the material discourages dust mites from collecting. This is actually a minor factor to consider, but if both mattresses are equal in the other features then it may decide your choice. 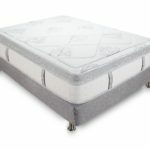 Edge support refers to how the mattress supports your weight when you sleep near the edge or you sit on the bed often. Many memory foam mattresses don’t have excellent edge support because the foam is designed to conform to the shape of your body. So sitting on the edge of the bed may make you feel like you’re sliding off. But some brands do compensate for this weakness. This feature differs with each brand, and different conditions may apply. But in general, you may expect a warranty of about 10 years. If you’re concerned about back pain, memory foam mattresses offer a superior alternative to inner coil and even latex mattresses. 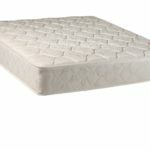 Numerous memory foam mattress reviews have attested to this, with many customers reporting that these things do alleviate their back pain and add to their comfort. These mattresses perform well in most of the factors we’ve mentioned here. It offers excellent support, and it can even alleviate pain in specific body parts with pinpoint accuracy. This has to do with memory foam’s reaction to heat as well as weight. Body parts in pain typically have a slightly higher temperature than the rest of your body, so the foam offers greater comfort by adjusting the pressure in that spot. 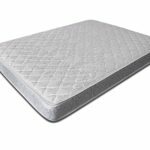 The memory foam offers medium firmness, because its body-molding features are balanced by its high-density composition. That gives you the best support for your back when you lie down. Memory foam also does well in other areas that don’t necessarily affect back pain, but does affect your comfort. Its motion transfer resistance is superb, so it’s ideal for couples. It helps prevent allergic reactions to dust mites. And you can pick a brand of memory foam that provides the right kind of temperature control for the climate in your area. The main problem here is that memory foam mattresses may be more expensive than ordinary inner coil variants. Premium queen-sized mattresses may cost up to $5,000 although of course some brands are cheaper. But you rarely find mattresses cheaper than $900. The other main problem is that memory foam is naturally highly inflammable. To counteract this, manufacturers treat the memory foam with chemical retardants. These chemicals may emit an unpleasant smell, although in the best brands this smell dissipates and disappears after only a few days. The weight of the mattress is a minor problem too. Because of its high density, it may not be easy for you to flip or rotate the mattress on your own. So Which Mattress Is Best For You? Any of these models will certainly offer you a very good night’s sleep. 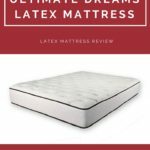 They all have excellent memory foam that truly conforms to the shape of your body, so that you feel equal support for all your body parts. And they also offer excellent support for your back, so you won’t have to miss work the next day. Of course, you may want to test them out first in your nearest home furnishing store. But the best prices are always online, so test them at the shop and buy them from an online seller instead. 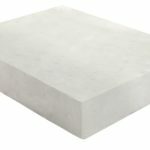 ← Memory Foam Mattress Toppers – Your Ticket To An Enchanting Sleeping Experience!